Managing conversations and a continuous communication with the customers is one of the most important parts of a business. There are a number of tools in the market that can help maintain relationships with the customer. One of such applications is Nudge. Nudge is one of the most powerful tools that can help you connect and communicate with your customer very easily. The application lets you manage customer relationships with an ease, manage conversation with context and uncover more opportunities while building loyalty. The product is available in two editions, and both having a 14 day risk free trial. Unlike every online application today, Nudge has its own dashboard which offers a quick access to all the features and capabilities at a single location. The Dashboard offers quick links to Reminders, Mentions and Settings. Nudge lets you plan and schedule follow-ups helping your business to build genuine and long lasting relationships with your customers and followers. Connecting via Twitter accounts, you can easily keep yourself connected to the people who follow you. Mentions are the posts you want to do online on Twitter regarding your business or profile. Once the Mention is done, you can click to the Nudge button next to the respective mention. Mentions are categorized under “Open” and “Closed” depending on their status. Both Open and Closed mentions can be viewed in the Mentions tab. 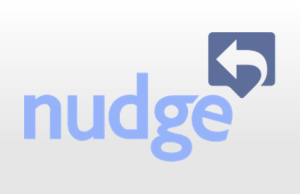 Nudge allows you to keep safe conversation notes once a conversation is over. There notes can be accessed for future references keeping everything on track. Like any other reminders to keep you on the page, Nudge allows you to set reminders for the timely conversations and communications to take place. To set reminders, all you need to do is to prepare mentions as well, only after mentions are prepared, reminders can be set into Nudge. The application shows reminders which are upcoming, late as well as completed. In this way, you can keep a track of all the reminders you made in Nudge. 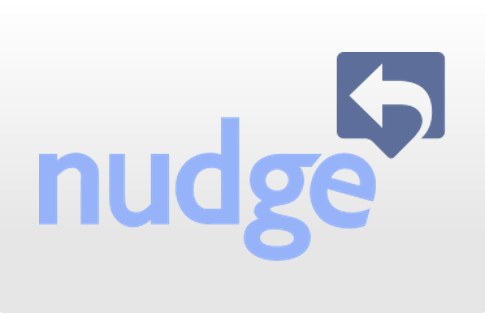 Nudge seamlessly integrates with Twitter connecting your business to its followers. The Nudge account can be integrated, or can be said, is designed to connect to multiple Twitter accounts to keep your audience updated with the technology and better manage the communication process. The tool offers email support to the users, both inside as well as outside of the Nudge account. Grabbing more opportunities through social channel management. The Twitter profiles let you know what your followers are following to know their interest area. It would be a great value point if the application incorporated other social channels as well such as LinkedIn and Facebook. Reminders- upcoming, late and completed. Mentions- Open and Close, etc. You cannot miss any opportunity to make a genuine conversation with the target audience. For more details, please visit: Nudge website .